Indian Restaurant in Morrisville, known as North Carolina’s “Little India” by locals for $85,000 only! Rare endcap possibility and prime retail space with great visibility. Established shopping complex less than 2 miles from both Research Triangle Park (“RTP”) and Cary. Average household income in the 1-3-5 mile radius is over $100,000. This location abodes a fashionable live/walk/work community aptly living the city’s motto: “Live Connected. Live Well”. 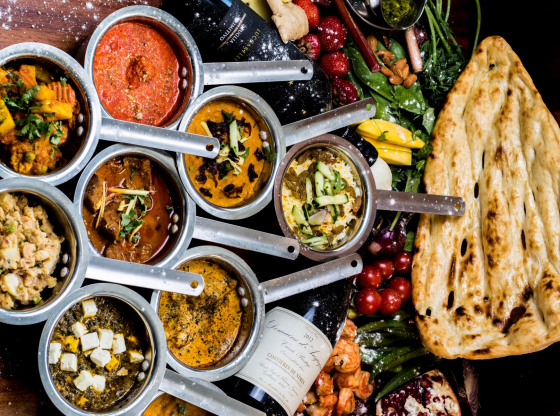 If you are relocating to the Research Triangle metropolitan region or (“RTP”) in the state of North Carolina, and you would like to start an Indian restaurant, you have arrived at the right place. Morrisville is a town located primarily in Wake County, North Carolina with a small portion extending into neighboring Durham County with a huge population of Indians. Morrisville’s estimated population is 26,461 according to the most recent United States census estimates. Perfect for a couple, this Indian restaurant’s income could be increased immediately by adding delivery. The restaurant has a spacious fully-equipped commercial kitchen and would make an ideal choice for catering companies looking for a first-time restaurant. The restaurant is limited to a seating capacity of 50. For more details or to list your own restaurant for sale, contact Madhur Gupta at 919 428 9840.